Ambati Rayudu who was India's number 4 before the start of the Indian Premier League 2019 has been dropped from the World Cup 2019 squad as the BCCI has announced the 15-member squad on Monday (April 15). 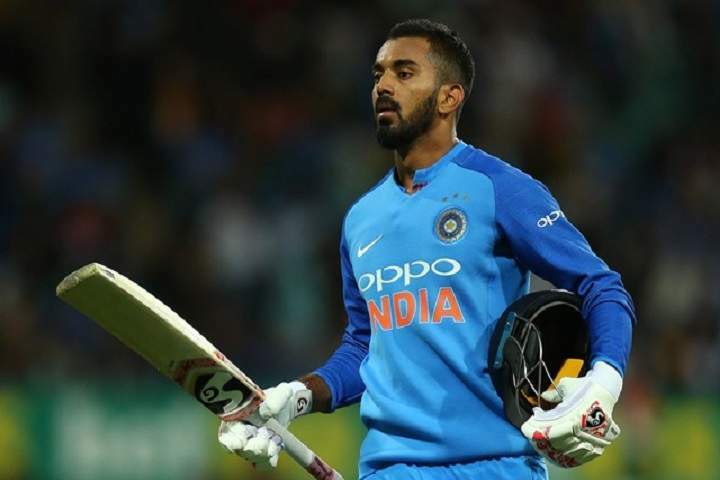 KL Rahul who was dropped from the ODI set up after the controversial talk show incident has been included in the 15-member squad as a backup opener for Rohit Sharma and Shikhar Dhawan. Ravindra Jadeja also rewarded for his brilliant all-round form in IPL 2019. Dinesh Karthik will be as a backup wicketkeeper for MS Dhoni. Rishabh Pant also was discussed in the meeting but selectors go with the experience of Dinesh Karthik. Ambati Rayudu who was the first choice at number 4 but his recent form including IPL has been really poor and that cost him his spot. Vijay Shankar or Dinesh Karthik likely to bat at number 4. "We did give a few more chances to Rayudu but Vijay Shankar gives three dimensions. He can bat, if the conditions are overcast he can bowl, plus he is a [good] fielder," MSK Prasad said added. The selectors have included three genuine pacers along with Hardik Pandya. Mohammed Shami who has shown brilliantly form in white ball cricket in recent time has given a chance into the World Cup squad. The other two pacers are Jasprit Bumrah and Bhuvneshwar Kumar. Kuldeep Yadav and Yuzvendra Chahal will be two guanine spinners. Both have been brilliant for India in the last one and a half year. India will start their World Cup campaign against South Africa on June 5.